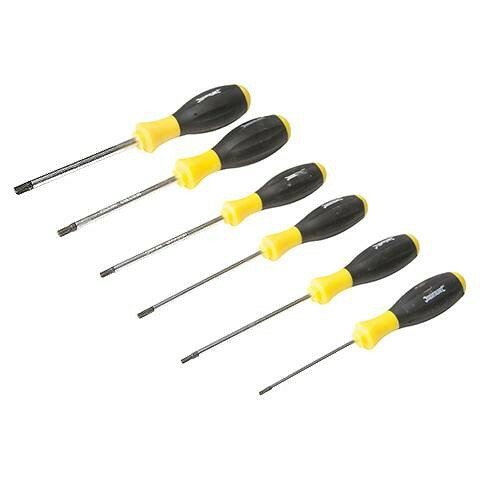 Brand New Turbo Twist Screwdriver Trx Set (6 Pieces) Mechanics/engineers pattern screwdrivers with non-slip ergonomic soft-grip handles. Chrome vanadium hardened and tempered blades with satin finish and blacked Trx tips. Includes: Trx T10 x 75mm, T15 x 100mm, T20 x 100mm, T25 x 100mm, T30 x 100mm, T40 x 100mm.